and learn the basics of its use. Ever want to snag part of a Web Page, dialog box or part of a window on your computer in an image format? With PSP's capture utility you can do just that. But what if you want a more refined capture? One where the capture software did the work, just snagging parts of the window instead of the whole shebang. PSP 7 has this functionality although getting started with it can be confusing. Open PSP and go to File on the Menu bar and choose Import from the drop down box, then Screen Capture then Setup. On the Capture Setup Dialog box choose what type of capture on the left hand side. Area capture lets you control the size of the area to include in the capture, by dragging a bounding marquee around the target area. Full screen captures the entire desktop area. Client window captures the workspace of the active window, say for example all of MS Word, if that is what you have active at the time of capture. Window captures the target programs active window. Object captures a feature or group of features such as dialog boxes or drop down boxes or tool bars and such. In the middle column, choose how to initiate the capture. I chose a Hot Key, F11. You can choose a right mouse click by checking that radio box or you can set a delay from the time you start the capture to the time it actually happens. I don't use a delay, it messes up royally for me. 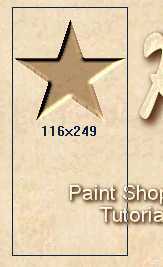 On the right side of the dialog box, decide whether to capture the Cursor from the target program in the image. Will not work in area captures though. Choose whether to make multiple captures by checking the Multiple captures box. up in PSP's main window. Multiple will show all the images you captured when you restore it from the task bar. When the options are set as you wish, press the OK button to store the settings or press the Capture Now button to start the capture process. Set up the following on the Capture Set up dialog box. Activate = Hot Key, pick F11 from the drop down box. Uncheck the Multiple Captures box. Press the OK button to return to PSPs screen.
. Press to start the capture utility. PSP will minimize to the task bar. Switch to, or start another program. 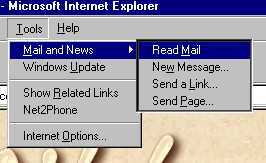 I picked Internet Explorer and opened my Web Page. Here is just a bit of it. With the target application active, press the HOT KEY you selected for capture, F11. Notice that the cursor has hanged shape to a cross hair. Click once to set a corner of the marquee, then release the mouse button. Move to another location to surround the part you want to capture. PSP will show the dimensions of the capture inside the box you make. Click the mouse button a second time to set the opposite corner point and perform the capture. PSP immediately restores and pastes the image from the clipboard. With the image in PSP, edit as necessary then save in the format of your choice. 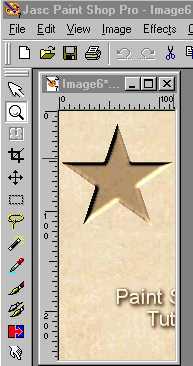 To capture another image, press the camera icon on the Tool Bar to start the process over. Change the Capture type to Object, change the Options on the left to Include Cursor. Press Capture Now button. PSP will minimize at once. Make the target application active again. Press the hot key, F11. Run the mouse over the Tool Bar at the top of the application and notice the black outline that surrounds the "object" as you move the mouse. When the bounding box surrounds and includes the whole tool bar, click to take the capture. PSP maximizes automatically showing the image you snagged complete with the cursor if you left it in the capture area. With PSP restored to the screen go once again to File>Import>Screen Capture> Setup. Check the Multiple captures box on the right. Leave the other settings alone. Press Capture Now to minimize PSP and prime it to capture. In your target application, click on the word File on the Menu Bar, as all windows programs have that word. 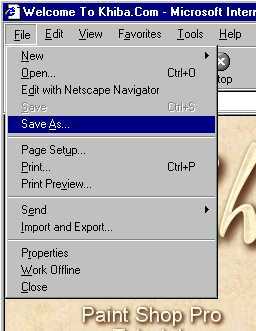 Move your cursor over Save As to highlight it, but don't click. Press the F11 hot key. Make sure the black bounding box shows up around the drop down box then click the mouse button. Notice that PSP does not restore automatically. Leave it alone. Pick another choice in the target application, like Tools in Internet Explorer. Highlight Mail and News then Read Mail from the flyout boxes but don't click. Make sure the bounding box surrounds the object you plan to capture. Click the mouse to do the capture. Next restore PSP from the task bar. Click and drag the top image to the right to see that PSP has both images you captured in its possession. See below. 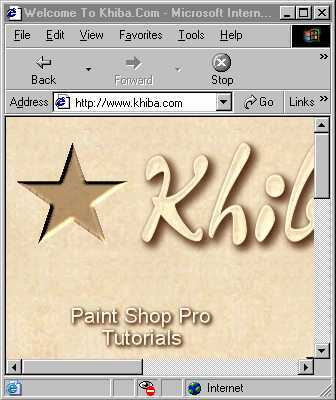 Edit the images and save as you normally would from PSP.